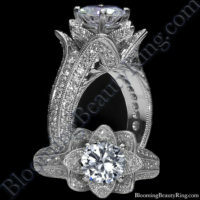 This ring is filled to the brim with unique hand carved design patterns all surrounded by beaded milgrain edging. 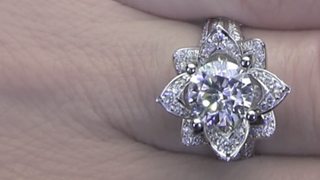 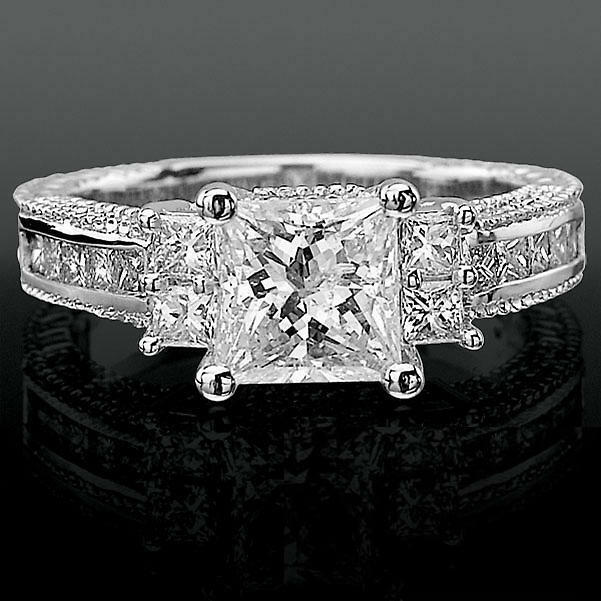 Along the top of the band you'll see flush channel set princess diamonds connecting to more common prong set princess diamonds on each side, tucking in closely to the 4 prong head. 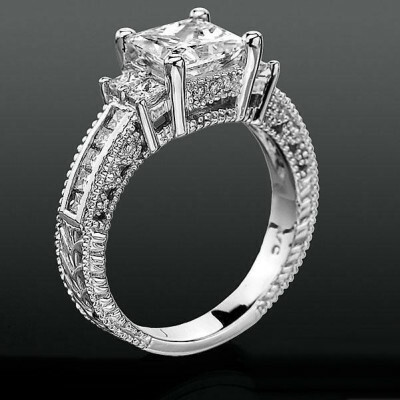 Truly a head turner. 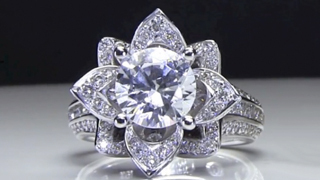 Carat Weight: .60 cts. 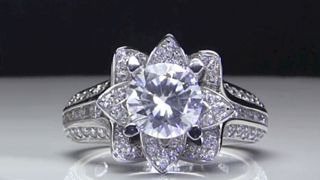 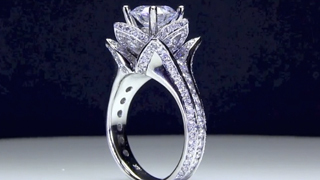 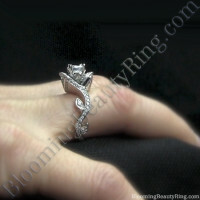 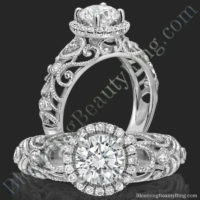 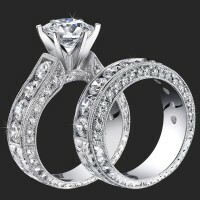 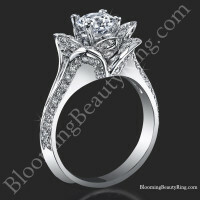 Shipping Time: This ring is made to order and needs at least 10 – 14 business days to ship. 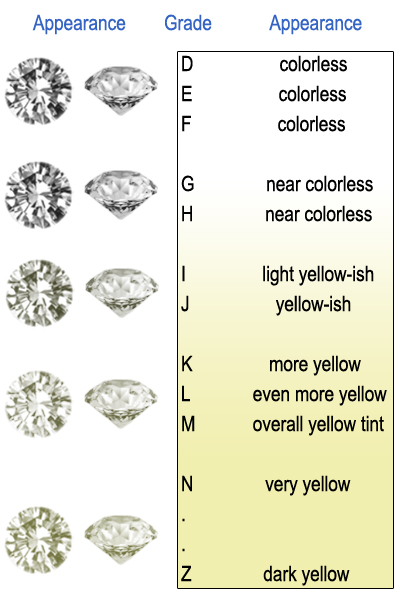 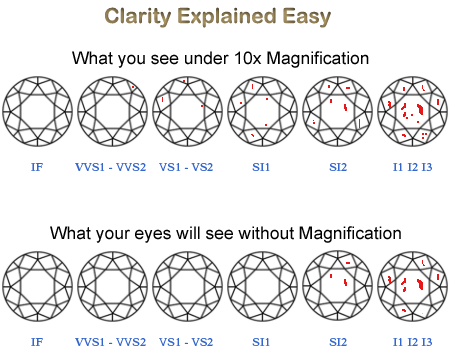 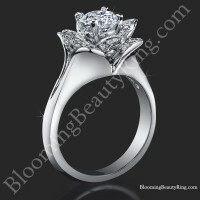 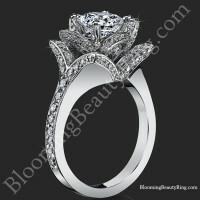 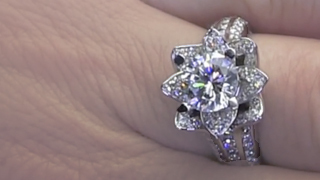 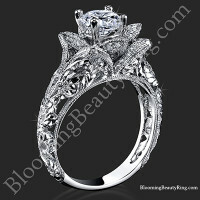 Min / Max possible sizeof a center diamond: .75 cts. 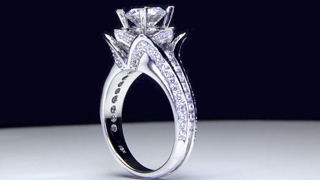 to 1.50 cts. 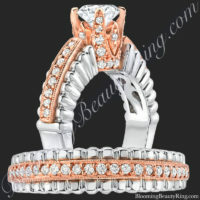 / Anything larger or smaller please call for pricing. 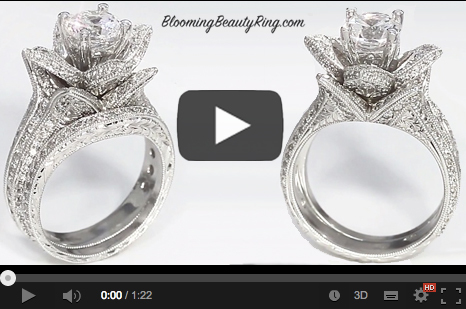 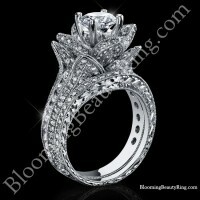 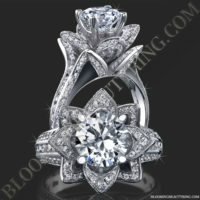 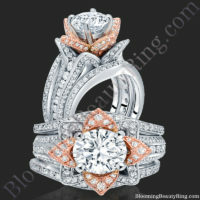 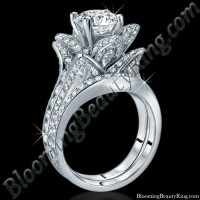 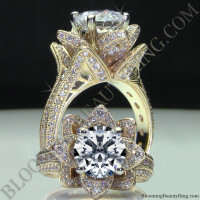 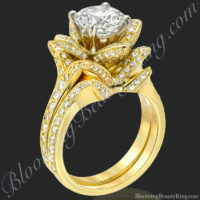 Ring Box: You will receive a beautiful ring box with your order.